Bolstering arguments that the minimum wage in the United States is a “starvation wage” that must be lifted, a new study by the Government Accountability Office (GAO) found that millions of families with a worker earning the federal minimum or just above it are living in poverty. Specifically, the GAO report discovered that “about 20 percent of families with a worker earning up to the federal minimum wage (currently $7.25 per hour), 13 percent of families with a worker earning above federal minimum wage to $12.00 per hour, and 5 percent of families with a worker earning $12.01 to $16 per hour were in poverty” between 1995 and 2016. Sanders has introduced legislation that would move in that direction. 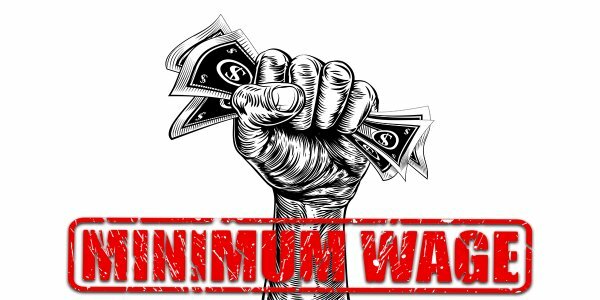 The Raise the Wage Act of 2017, which now boasts 30 Senate co-sponsors, would hike the federal minimum to $15 an hour by 2024 and index it to inflation thereafter. As Common Dreams has reported, wages for most workers have remained stagnant even as corporate profits and CEO salaries have soared exponentially. The GAO study notes that while the federal minimum wage has increased multiple times since the 1980s, it has not risen nearly enough to keep pace with inflation or the income boosts enjoyed by those in the top one percent. In fact, when adjusting for inflation, “the minimum wage has trended downward” over the past several decades, the study notes. —Sen. Bernie SandersThe GAO report also found that social safety net programs are often not sufficient to lift working people out of poverty—and, in some cases, even workers earning the minimum wage while living at the poverty level earn too much to qualify for federal assistance. earn too much to qualify for federal assistance. Despite these facts, President Donald Trump and the Republican-controlled Congress are moving quickly to “erode” what is left of the safety net in order to deliver massive tax breaks to the wealthiest Americans. Sanders argued that GAO’s findings indicate that precisely the opposite is necessary to begin reversing America’s historic levels of income and wealth inequality.
? New (Free) App Gives You A Gentle Reminder To Breathe Every Time It Is 11:11 Fiona The Hippo Photobombs Couple’s Engagement Photos At The Perfect Moment ?